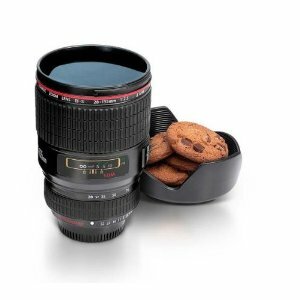 All photography enthusiasts will love this realistic looking mug. The outside mimics the camera lens exactly. The insulated stainless steel lining keeps the beverages hot or cold for many hours. It can also serve as a great gift for that special someone.